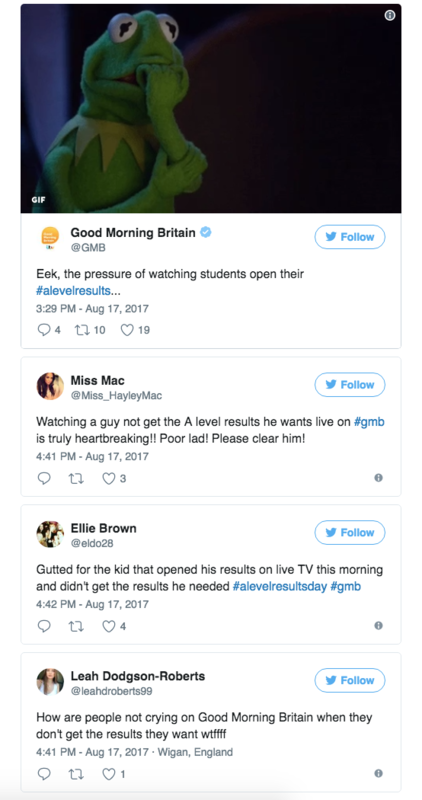 Student Opens Results Live On TV And It Doesn’t Go Well From There…! British lad Liam Scroogie desperately wanted to study politics at Queen’s University in Northern Ireland once he finished high school. So a TV report of young Liam opening his A-level results (the UK’s entry into higher education) live to air seemed like a fantastic idea for some emotive journalism on the breakfast TV show Good Morning Britain.